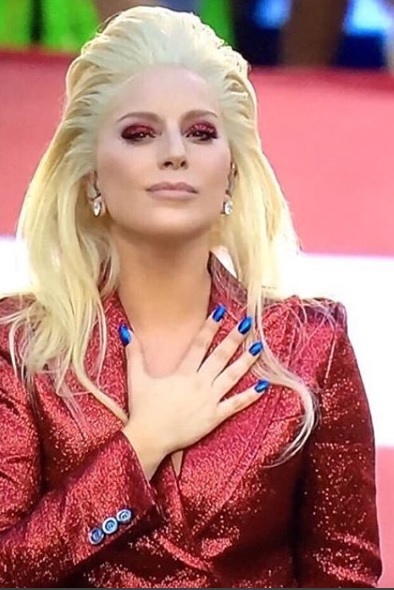 Before Super Bowl 50 Lady Gaga thrilled the crowd at Levi's Stadium with her performance of the US national anthem, her clothing, and her footwear. Where did Lady Gaga get her Super Bowl shoes? Photo courtesy of Lady Gaga Instagram. Italian fashion brand Gucci provided the customs designed shoes for Lady Gaga's Super Bowl 50 performance. The shoes are from Alessandro Michele’s spring 2016 collection for Gucci. By the way, her performance of the National Anthem was spectacular. 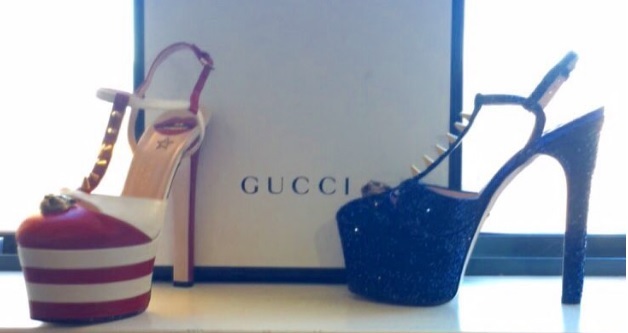 What do you think of the Gucci flag shoes? Learn more about Lady Gaga here on Apparel Search. Her eye makeup and nails were also part of the patriotic theme.